Cities: Capital: Porto-Novo (pop. 295,000). Political and economic capital — Cotonou (pop. 2 million). Nationality: Noun and adjective: Beninese (singular and plural). Annual population growth rate (2010 est. ): 2.9%. Languages: French (official), Fon, Mina, Goun, and Yoruba in the south; Nagot, Bariba, and Dendi in the north. Education (2008): Literacy: total population 44%; men 48%, women 23%. Health (2010): Infant mortality rate: 61/1,000. Life expectancy — 59 yrs. Branches: Executive: President, elected by popular vote for 5-year term, renewable once, appoints the Cabinet. Legislative — Unicameral, 83-seat National Assembly directly elected by popular vote for 4-year term. Judicial — Constitutional Court, Supreme Court, High Court of Justice. Political parties (partial listing of major parties): La Renaissance du Benin (RB), Party of Democratic Renewal (PRD), Social-Democrat Party (PSD), African Movement for Development and Progress (MADEP), Action Front for Democratic Renewal (FARD-ALAFIA), African Congress for Renewal (CAR-DUNYA), Impulse for Progress and Democracy (IPD), Alliance for Democracy and Progress (ADP), National Union for Democracy and Progress (UNDP), National Party Together (PNE), Key Force (FC), Hope Force (FE) Union for the Relief (UPR), Rally for Progress and Renewal (RPR), Movement for the People Alternative (MAP), Communist Party of Benin (PCB). GDP growth rate (2010): 3.0%. 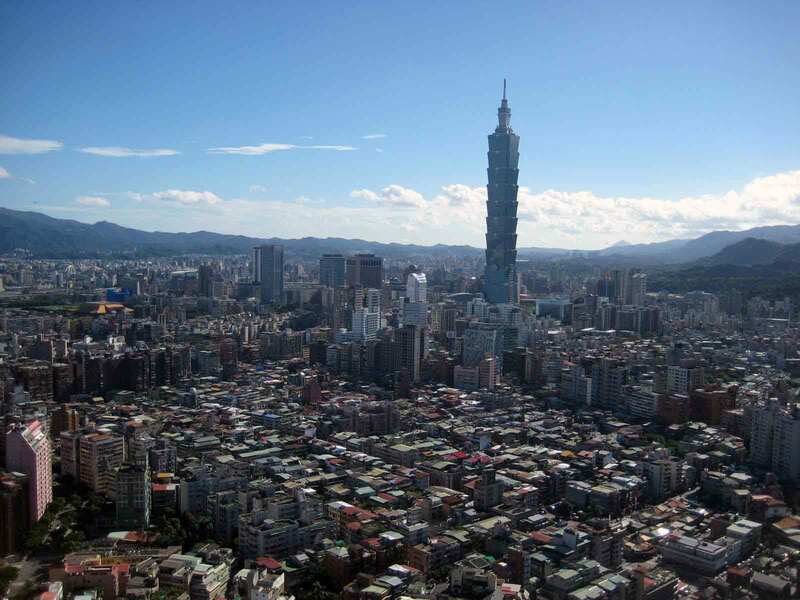 Per capita GDP (2009): $1,500. Agricultural: Products: corn, sorghum, cassava, tapioca, yams, beans, rice, cotton, palm oil, cocoa, peanuts, poultry, and livestock. Arable land — 13%. Permanent crops 4%, permanent pastures 4%, forests and woodland 31%. Trade: Exports: $1.024 billion: cotton, cashews, shea butter, textiles, palm products, seafood. Imports — $1.54 billion: foodstuffs, tobacco, petroleum products, energy, and capital goods. Major trade partners — Nigeria, France, China, Italy, Brazil, Libya, Indonesia, U.K., Cote d'Ivoire. The majority of Benin's 9 million people live in the south. The population is young, with a life expectancy of 59 years. About 42 African ethnic groups live in this country; these various groups settled in Benin at different times and also migrated within the country. Ethnic groups include the Yoruba in the southeast (migrated from Nigeria in the 12th century); the Dendi in the north-central area (they came from Mali in the 16th century); the Bariba and the Fulbe (Peul) in the northeast; the Betammaribe and the Somba in the Atacora Range; the Fon in the area around Abomey in the South Central and the Mina, Xueda, and Aja (who came from Togo) on the coast. Several religions are practiced in Benin. Animism is widespread (35%), and its practices vary from one ethnic group to the other. Arab merchants introduced Islam in the north and among the Yoruba. European missionaries brought Christianity to the south and central areas of Benin. Muslims account for 20% of the population and Christians for 35%. Many nominal Muslims and Christians continue to practice animistic traditions. Voodoo originated in Benin and was introduced to Brazil and the Caribbean Islands by African slaves taken from this particular area of the Slave Coast. Benin was the seat of one of the great medieval African kingdoms called Dahomey. Europeans began arriving in the area in the 18th century, as the kingdom of Dahomey was expanding its territory. The Portuguese, the French, and the Dutch established trading posts along the coast (Porto-Novo, Ouidah, Cotonou), and traded weapons for slaves. Slave trade ended in 1848. Then, the French signed treaties with Kings of Abomey (Guezo, Glele) and Hogbonou (Toffa) to establish French protectorates in the main cities and ports. However, King Behanzin fought the French influence, which cost him deportation to Martinique. As of 1900, the territory became a French colony ruled by a French Governor. Expansion continued to the North (kingdoms of Parakou, Nikki, Kandi), up to the border with former Upper Volta. On December 4, 1958, it became the Republique du Dahomey, self-governing within the French community, and on August 1, 1960, the Republic of Benin gained full independence from France. Between 1960 and 1972, a succession of military coups brought about many changes of government. The last of these brought to power Major Mathieu Kerekou as the head of a regime professing strict Marxist-Leninist principles. The Revolutionary Party of the People of Benin (PRPB) remained in complete power until the beginning of the 1990s. Kerekou, encouraged by France and other democratic powers, convened a national conference that introduced a new democratic constitution and held presidential and legislative elections. Kerekou's principal opponent at the 1991 presidential poll, and the ultimate victor, was Prime Minister Nicephore Soglo. Supporters of Soglo also secured a majority in the National Assembly. In the 1996 presidential poll Kerekou defeated Soglo, and was reelected in 2001. At the end of his second term in 2006, Kerekou successfully handed power over to Boni Yayi, elected with 75% of the votes cast. On April 20 and May 1, 2008, Benin held its second local and municipal elections, which were marred by fraud allegations and irregularities. Voters filed appeals with the Supreme Court, which nullified results in a number of communes and ordered new elections and recounting of votes in constituencies where results were contested. Former West African Development Bank Director Boni Yayi won the March 2006 election for the presidency in a field of 26 candidates. International observers including the United Nations, the Economic Community of West African States (ECOWAS), and others called the election free, fair, and transparent. President Kerekou was barred from running under the 1990 constitution due to term and age limits. President Yayi was inaugurated on April 6, 2006. 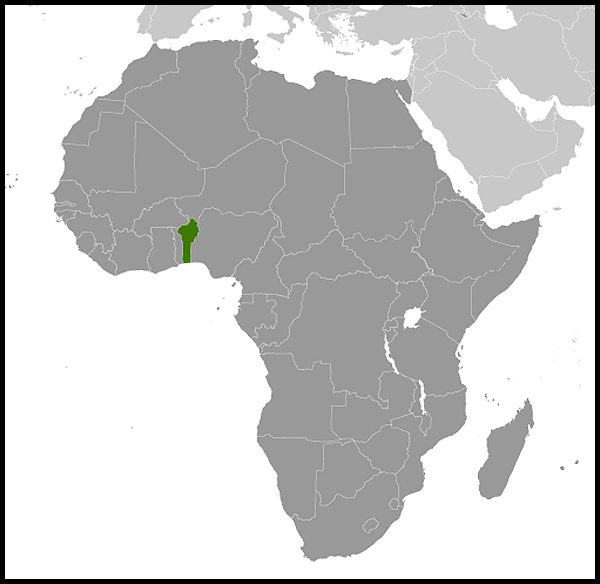 Benin held legislative elections on March 31, 2007 for the 83 seats in the National Assembly. The "Force Cowrie for an Emerging Benin" (FCBE), a coalition of parties closely linked to President Yayi, won a plurality of the seats in the National Assembly, providing the president with considerable influence over the legislative agenda. The "G-13" deputies from minor political parties who had joined the FCBE to help President Yayi obtain a majority in the National Assembly subsequently left this coalition and joined undeclared opposition parties, including G4 and Force Cle, forming an unstable though blocking majority. Seeking to improve the electoral system, the Government of Benin, with the support of international donors, developed a permanent digital voter's list in 2010. In the first election since the list was created, incumbent President Yayi won a second term with 53% of the vote in March 2011. The United Nations, ECOWAS, the African Union, and the international community praised Benin for once again holding fair and transparent elections. Legislative elections were held on April 30, 2011. The FCBE won 41 out of the 83 seats in the National Assembly. Benin maintains an embassy in the United States at 2124 Kalorama Road, Washington, DC 20008, tel. 202-232-6656. The Permanent Representative of the Republic of Benin to the United Nations is located at 4 East 73rd Street, New York, NY 10021, tel. 212-249-6014, fax 212-734-4735. Benin's economy is chiefly based on agriculture. Cotton accounts for 40% of GDP and roughly 80% of official export receipts. There also is production of textiles, palm products, and cocoa. Corn, beans, rice, peanuts, cashews, pineapples, cassava, yams, and other various tubers are grown for local subsistence. Benin began producing a modest quantity of offshore oil in October 1982. Production ceased in recent years but exploration of new sites is ongoing. A modest fishing fleet provides fish and shrimp for local subsistence and export to Europe. A number of formerly government-owned commercial activities are now privatized, and the government, consistent with its commitments to the International Monetary Fund (IMF) and World Bank, has plans to continue on this path. Smaller businesses are privately owned by Beninese citizens, but some firms are foreign owned, primarily French and Lebanese. The private commercial and agricultural sectors remain the principal contributors to growth. Since the transition to a democratic government in 1990, Benin has undergone a remarkable economic recovery. A large injection of external investment from both private and public sources has alleviated the economic difficulties of the early 1990s caused by global recession and persistently low commodity prices (although the latter continues to affect the economy). The manufacturing sector is confined to some light industry, which is mainly involved in processing primary products and the production of consumer goods. Benin is dependent on imported electricity, mostly from Ghana, which currently accounts for a significant proportion of the country's imports. Benin has several initiatives to attract foreign capital to build electricity generation facilities in Benin in order to break this dependency. The service sector has grown quickly, stimulated by economic liberalization and fiscal reform. Membership of the CFA franc zone offers reasonable currency stability. Benin's trading partners include Germany, Brazil, U.A.E., Spain, the United States, Singapore, India, Netherlands, Japan, and China. Benin also is a member of ECOWAS. In March 2003, the World Bank and IMF agreed to support a comprehensive debt reduction package for Benin under the enhanced Heavily Indebted Poor Countries (HIPC) Initiative. Debt relief under HIPC amounted to approximately $460 million. 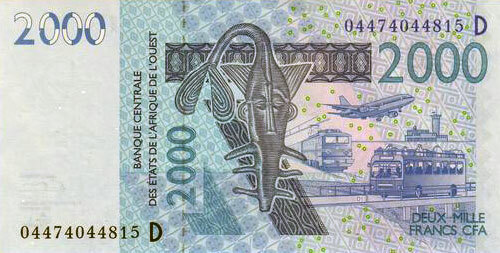 Benin received $27.1 million in 2002 and received $32.9 million in 2003. HIPC aimed to reduce Benin's debt-to-export ratio, freeing up considerable resources for education, health, and other anti-poverty programs. Despite its growth, the economy of Benin still remains underdeveloped and dependent on subsistence agriculture, cotton production, and regional trade. Inflation has subsided over the past several years. Real economic growth for 2009 was 2.7% and increased to 3.0% in 2010. Commercial and transport activities, which make up a large part of GDP, are vulnerable to developments in Nigeria, including fuel shortages. Abroad, Benin has strengthened ties with France, the former colonial power, as well as the United States and the main international lending institutions. Benin also has adopted a mediating role in the political crises in Liberia, Guinea-Bissau, and Togo and provided a contribution to the UN force in Haiti. Benin currently has peacekeeping forces, under the UN aegis, in Cote d'Ivoire and the Democratic Republic of the Congo. Benin's democratic standing, stability, and positive role in international peacekeeping have helped Benin's international stature continue to grow. Benin enjoys stable relations with Nigeria, the main regional power. Benin held a seat on the UN Security Council; its membership term ended December 31, 2005. On January 29, 2012 President Yayi was elected to the 1-year post of Chairman of the African Union. The United States and Benin have had an excellent history of relations in the years since Benin embraced democracy. The U.S. Government continues to assist Benin with the improvement of living standards that are key to the ultimate success of Benin's experiment with democratic government and economic liberalization, and are consistent with U.S. values and national interest in reducing poverty and promoting growth. The bulk of the U.S. effort in support of consolidating democracy in Benin is focused on long-term human resource development through U.S. Agency for International Development (USAID (http://www.usaid.gov/index.html) programs. Efforts to pursue this national interest are spearheaded by USAID, which has effective programs focused on primary education, family health (including family planning), women's and children's health, and combating sexually transmitted diseases, especially the spread of HIV. USAID's Democracy and Governance program also emphasizes encouraging greater civil society involvement in national decision-making; strengthening mechanisms to promote transparency and accountability; improving the environment for decentralized private and local initiatives; and enhancing the electoral system and the national legislature. A panoply of military-to-military cooperation programs reinforces democratizing efforts. U.S.-Benin military cooperation has expanded, both bilaterally and within a broader regional framework. In February 2006, the Government of Benin signed a 5-year $307 million Millennium Challenge Corporation (MCC) Compact to increase investment and private sector activity in Benin. The program removed key constraints to growth and supported improvements in physical and institutional infrastructures in four critical sectors: land, financial services, justice, and markets. The projects reinforced each other to contribute to an economic rate of return of 17%. Benin closed out its MCC Compact on October 6, 2011. On December 15, Benin was selected as eligible to develop a second MCC Compact. The U.S. advances the ethos of law enforcement by working with Beninese authorities to crack down on crimes; help eradicate corruption; and promote good governance, the rule of law, and greater official accountability. The U.S. Public Affairs Office in Cotonou leads the U.S.-Benin cultural, professional, and educational exchanges, with a focus on helping educate the Government of Benin and the public on the trade opportunities and advantages of the African Growth and Opportunity Act (AGOA). The PA Office also helps in expanding efforts to build a more responsible media. The U.S. Peace Corps (http://www.peacecorps.gov/) program in Benin provides ongoing opportunities for increased understanding between Beninese and Americans. The approximately 112 volunteers promote sustainable development through activities in health, education, the environment, and small enterprise development. The U.S. Peace Corps program in Benin is one of the most successful in Africa, in part because of Beninese receptivity and collaboration. Currently, trade between Benin and the United States is small, but interest in American products is growing. The United States is interested in promoting increased trade with Benin in order to contribute to U.S. trade with Benin's neighbors, particularly Nigeria, Niger, and Burkina Faso, which receive large amounts of their own imports through the port of Cotonou. Such trade also is facilitated by Benin's membership in ECOWAS and in the CFA franc monetary zone. The U.S. Government also works to stimulate American investment in key sectors such as energy, telecommunications, and transportation. Benin has been eligible for AGOA since the program began in 2000. It qualified for AGOA textile and apparel benefits in January 2004. The U.S. Embassy (http://cotonou.usembassy.gov/) is located on rue Caporal Bernard Anani, 01 BP 2012, Cotonou, Benin, tel. 229-21-30-06-50, fax 229-21-30-14-39. For American citizen services and visa questions, the Embassy consular section fax number is 229-21-30-66-82.